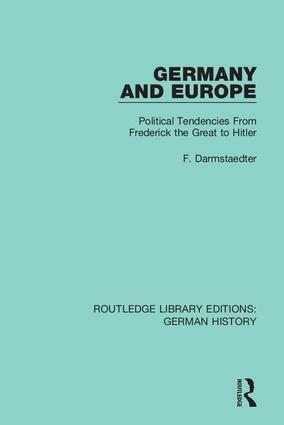 Originally published in 1945, at a time when feelings against the German people were running high, this book is as much a revealing insight into the psyche of the Germans as it is a history of Germany from the late 18th century to the end of WWII. The author firmly believed that a path of reconciliation and a peaceful future for relations with Germany could only be achieved by understanding key episodes from the country’s past. Examine the inter-relationships between social and economic change on the one hand, and political developments on the other. Discuss authority and the law in the German Empire and the Weimar Republic. Include archival material from both the former East and West Germany.